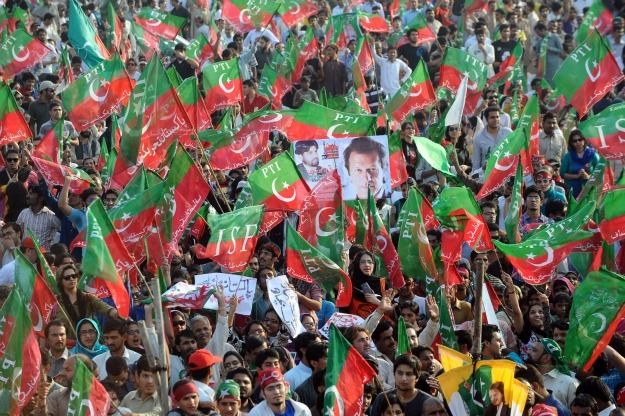 Pakistani cricket star-turned-opposition politician Imran Khan drew as many as 100,000 people to a rally in Lahore Sunday, where Khan lambasted the country’s leading political figures as well as the United States. It was announced today that a flotilla made up of a Canadian and an Irish ship is en route to Palestine to break the siege on Gaza. Tens of thousands of protesters in the Yemeni capital Sana’a took to the streets Sunday demanding the release of fellow demonstrators arrested by government security forces since February. Thousands of Egyptians demonstrated on Monday in Cairo’s Tahrir Square to protest the military’s recent detention of prominent blogger Alaa Abd El Fattah on charges of inciting violence and sabotage. On Monday, fresh demonstrations were held in Jayapura demanding Indonesia take formal and legal responsibility for ongoing human rights abuses in West Papua, most recently the brutal attack on the Third Papuan People’s Congress (KP3) earlier this month. In the Philippines, over 500 inmates in Compostela Valley held a noise barrage and hunger strike over the slow resolution of their cases. About 100 people gathered outside the Michigan League Monday afternoon to protest Eric Cantor, the U.S. House of Representatives majority leader and a Virginia Republican. Dressed in their colorful traditional attire, some 200 Wixáritari or Huichol men, women and children traveled 20 hours from western Mexico to protest in the capital last week to demand a stop to the activities of foreign mining companies in the high desert of San Luis Potosí in the central state of that name. Last Friday, hundreds of indigenous leaders, fishermen and riverine people from the Xingu River basin who had gathered to permanently occupy the Belo Monte Dam construction site in a peaceful protest to stop its construction in Altamira, located in the state of Pará in the heart of the Brazilian Amazon were evicted.